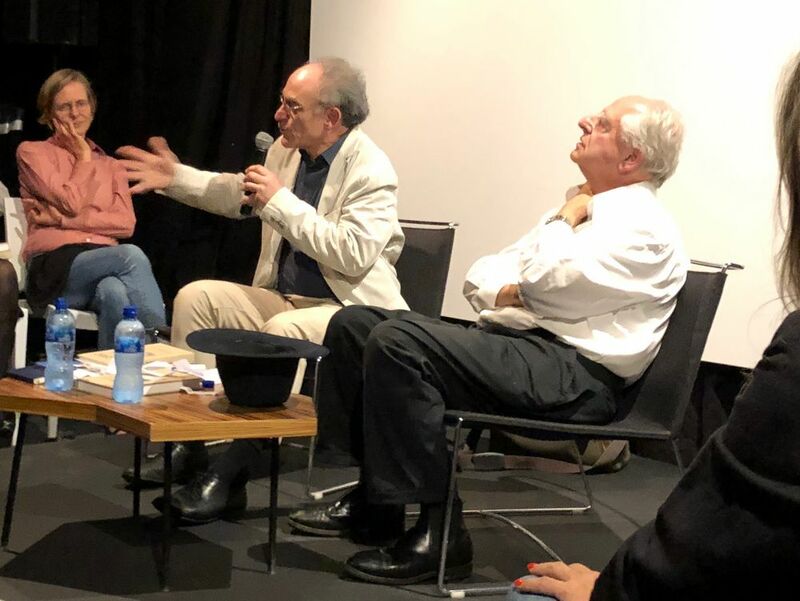 Artist William Kentridge and author Denis Hirson appeared in a public conversation at the Goodman Gallery, Johannesburg, in February, to launch their book of conversations, Footnotes for the Panther. 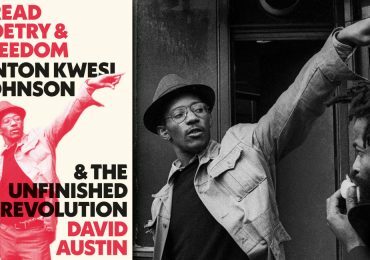 The book, according to its publisher, grows ‘out of a friendship that stretches back to the 1980s and that is deeply entwined in the fortunes of the city where they both grew up and the country that is the wellspring of their work’—Johannesburg and South Africa, respectively. The book comprises nine conversations between Kentridge and Hirson, which took place between 2010 and 2015. The JRB was at this, their tenth, which involved Kentridge and Hirson discussing pre-written topics drawn from random out of the former’s iconic black hat, and presents the following transcript. Denis Hirson: Good evening, everybody. It’s quite something to be in Johannesburg. I left this city in 1973. It’s good to be here with William this evening, and with you. This project didn’t start off as a book project at all, in fact it just started off as a public conversation—and this is only the fourth public conversation that we will have had together. The others were in private, and turned into book material. William Kentridge: The way it will work is that there are different phrases [in Kentridge’s upturned hat] here, and we will only have three minutes for each phrase, so that we don’t get stuck on one topic forever, which we could very easily do. So it will be by nature quite fragmentary and quite disjointed, but hopefully it will cover some of the areas that are there in the book. I don’t know what Denis has written down and he doesn’t know what I’ve written down. Denis Hirson: We tried to cheat but it didn’t work. William Kentridge: I’ll take home ground advantage and invite you to take [a topic from the hat] to begin. Denis Hirson: I’ve been reading through this book. I’m amazed at some of the things that we said to each other, I didn’t realise half of what we’d said to each other until I’d started reading it again. One of the most moving parts of this book concerns the end of it, where William talks about an image, in ‘Other Faces’, the film, in which his mother is behind him and he’s more or less at the age he is now, a little bit younger, and in his arms he has a creature whom he says is his mother, in her ill state, and he says that he would like his young mother to be comforting him at this moment when she herself is dying. It brought tears to my eyes, and I thought I would bring it on to the table now. William Kentridge: That’s quite a one to begin with. It’s true: if one thinks, What is the reason for becoming an artist—somebody said of artists and poets that they are the talented sons of unhappy mothers, and that they become poets or artists because they want to bring a gift to their mothers, to cheer them up, so they will be happy. ‘Here I give you something, here is a gift to make you happy.’ And in a way I suppose that was one of the things encapsulated in that film, which was a film made during the period that my mother was dying, and it had both images of her as I remembered her as a child, and also an image of her as a kind of baby Sphinx, in the kind of helpless state that she was in the last years of her life. It’s an interesting thing. In due course I think we have to talk about your writing, also in relation to—what are the parental psychic energies that come down on us, that make one spend one’s life either writing or drawing? Denis Hirson: Well precisely. I was born in Cambridge. I came here as a one-year-old child and then spent the next twenty-two years in South Africa, and when I wrote down the words ‘young mother’ I also was thinking of my own, and the fact that I think the best years of her motherhood were the very earliest ones. I have this image of her riding across the cobblestones in Cambridge on her bicycle—and I was thinking of her love of language, and thinking that that has, indeed, been a major influence on me as a writer. William Kentridge: I suppose there’s the question—In French do you change who you are when you change your language? Ann [my wife] always dislikes me speaking French, because—« Je parle Français, je deviens orgueilleuse, je me suis troublé avec les pensées globale, je fais vivre tout le monde avec mon vocabulaire minuscule »[*]—the language, the vowels change who you are. Denis Hirson: I will not tell you how many mistakes he’s just made. William Kentridge: At least my accent was fantastic. Denis Hirson: Not bad, not too bad. We could eat some Camembert with it, yes. And it’s true that French is a top-down language. It begins with concepts and sometimes reaches the ground, and it’s true that when you speak in French you realise to what extent English is a cinematographic language, full of objects and verbs, and has difficulty sometimes reaching the sky. The two languages actually are complementary and part of thinking and functioning in French is also seeing afresh what the English language can do. The other part of all this is that, like you, after all these years I, too, make mistakes in French, and that’s part of the joy of being there—of not being able to control everything that one says, and certainly not everything that one writes, so that one finds oneself going in a direction that one could not predict. That is what many writers want to do, which is: be surprised, every step. William Kentridge: The fact that it took you these many years to have the confidence—or did you not want to write in French before? Denis Hirson: I only started writing in French because I made a spelling mistake, and I couldn’t stand it. I sat there and thought, What the hell am I doing in this country? After all these years—after bringing children up in French! And I started writing about the spelling mistake in French, and that’s how it went. William Kentridge: In one of the conversations in the book, I was referring to different fragments of different poems that had seemed very important. And they were all by Czesław Miłosz, the great Polish poet. The one had to do with how—no one really needs poetry, but people always die for lack of what they can find in poems. Another was about prayer, saying that even if one doesn’t believe in prayer one still hangs on to prayer as one will hang on to a poem or art, even without knowing—it’s a bridge and one doesn’t know if the bridge will reach the other side. And the third poem was, again, about poetry as a saving [**], and what Denis did as editor was in fact track down these poems. Denis Hirson: And not all the references to the poems were correct. In fact they were by different poets—but that I think we will not dwell on too long. The first thought that comes to me when I see these three names, Miłosz, Szymborska and William Carlos Williams—three poets who have had a strong influence on me, I must say—is that I stop at the first two and I see that they’re not English-speaking. 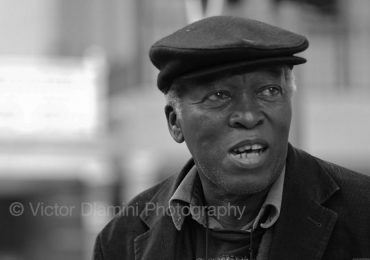 The first thing I remember is that when I started reading poetry, and reading literature in Johannesburg, the last thing I wanted to do, although I didn’t realise it at the time, was read writers who had been writing originally in English. 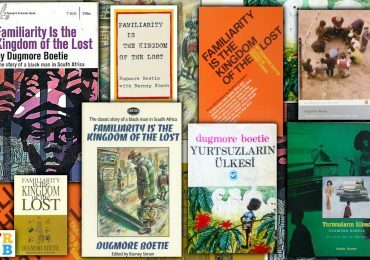 It turned out that the writers whom I was most interested in were those who’d been translated into English, like Prévert, like Césaire, like Neruda—those were the people I turned to. 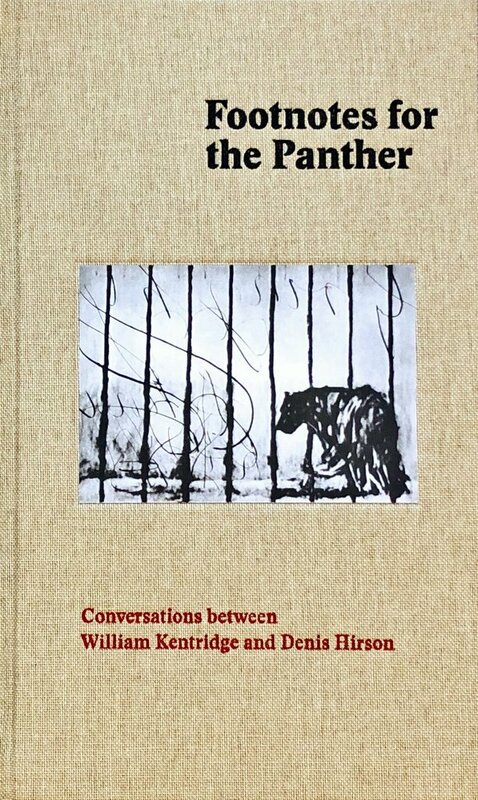 William Kentridge: That’s an interesting thing, because in fact the title of the book, Footnotes for the Panther, refers to the poem by Rilke, ‘The Panther’, which is a poem written in German, but which I, and I presume you also, came across in different English translations. I’m always interested how it often takes people from outside of a tradition, outside of a language, to make the best interpretations of a tradition that is not their own. 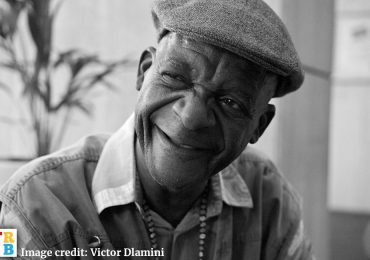 Denis Hirson: I am constantly amazed at how many of your central references, in your work—and more and more in your recent work—are not directly South African; that you need the tangent, the parallel, the periphery in order to come back to things that are centrally South African. William Kentridge: When I used to do oil paintings, as an art student and in the years afterwards, I realised that one of the difficulties I had with oil painting—apart from the terrible texture and softness and oiliness, the toothpaste-like quality of the material, the way it would clog your paintbrushes and you could never clean it—apart from those, I was stuck with the question, as I was doing a painting, Does it look nice, does it look beautiful? And it seemed to me even then that if that was a question you were asking yourself as an artist, you shouldn’t be doing that. It should be about, Is this a material in which you can think, and whether it’s beautiful or ugly is secondary. You kind of have to allow the look of it to take care of itself, otherwise it becomes a kind of narcissism. So the question of ‘ugly’ also came into landscapes: trying to draw landscapes that were not traditionally what the landscape tradition showed; shade, with rivers, with mountains. If you look at any Strauss catalogue of what a landscape looks like, it’s got blue mountains and a river and different layers. I tried to draw things that one would normally think of as ugly landscapes—the landscapes near Modderfontein, for example. That became a task. And once I understood that I could do that it became a treat. Of course, when one goes through Johannesburg every day, one thinks—God, this is ugly, some of it, a mixture of bad design, bad building and things done on the cheap without thought and planning. In some places that makes for interesting local colour. In Orange Grove and along the Louis Botha strip it just makes for the death of the sense of the city. I have to say when I come back to Johannesburg, I find that there is this argument: on the one hand, these buildings that look like tanks—Sandton looks like a collection of tanks to me—and on the other hand, the trees and the gardens and some of the homes, and the argument between Beauty and, perhaps, War. Denis Hirson: I don’t think that I would have been the person that I am, or would have written the way I write, if my father hadn’t gone to jail. I don’t think that absence would have been such an absolutely radically central theme for me. And perhaps I have also—contrary to all that—constructed a world for myself which is very different to his political and, more particularly, ideological world, and perhaps I would not be sitting here talking to you about these central existential artistic themes had I not turned away from the themes that he himself pursued. At the same time, I’m left with what I had to develop in myself against him and his absence. William Kentridge: There are moments of similarity and difference. I think that having to turn away from his view of the world would be a similar thing—with a lawyer father having in my case to find a way of understanding the world, and describing the world, that would not be subject to dinner-table cross-examination. As he would say, when I was doing the production of ‘Woyzeck’ using puppets with the Handspring Puppet Company—‘Well, I’m not saying that doing Woyzeck with puppets is impossible, I’m just wondering why it’s necessary.’ And when explaining to him that one of the singers was going to sing a song by Berlioz in reverse, his comment to her was—‘Just remind me what Berlioz got wrong when he wrote it forwards?’ Which I can laugh about now—they are jokes and they are part of family folklore. But in a way I think saying, Well I’m going to do this drawing, and this drawing is this shape, and there’s this tree on someone’s head—in way disarms cross-examination. The work itself isn’t the product of a logical argument and so can avoid it. There are ways in which, in the avoidance of who our fathers were, we found our different routes, although there were very different circumstances. Denis Hirson: Without forgetting all the pride and admiration that we had for them. William Kentridge: Yes, absolutely. I mean it’s absolutely wrapped up in that. What do you have to do—what is the psychic energy that comes towards you, to be making something of yourself, in the face of fathers who have done so much. Denis Hirson: I have to add, here I am staying with William in what was once his father’s house and thinking to myself that my father’s house was made of bookshelves and books. And that we moved—that we moved away. William Kentridge: There are very different kinds of editing that we do, and I wanted Denis to talk about what it is to change spoken word into a book, what it is to construct it as an editor, in similar way to the pleasures of editing when you’re working with images and putting them together in an order when you’re making a film, and putting the sound with it and seeing—what are the surprising connections that emerge, as one is in the process of editing, doing that kind of montage. Denis Hirson: I think that William is cheating again, because he’s taking his own words out of the hat—this is one of his, and I don’t mind, it’s part of the game. 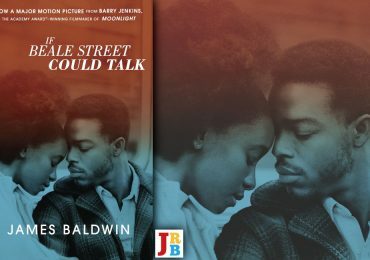 Well, yes, it fell to me to edit this book, and it’s true that I went through it with a fine-toothed comb, and the words that you see are the words that were spoken—but there are many words that were spoken that are not in the book. Editing a book is like translating from one language to another. Speaking is not like writing. It’s even worse in French than it is in English, the difference between the two. Denis Hirson: You aren’t that bad. William Kentridge: The other thing that always astonishes me, when I look at my own stuff—and for this I have to thank you, not just for the substantive editing—is that, my first instruction usually to anyone who’s editing is, Take out all qualifiers. Take out every time I say, ‘I think so’, ‘it was rather’, ‘it was someone’, ‘it could be said that’—just take all those phrases out. I would imagine that was the first stage of editing, but the real one was actually constructing the book out of conversations that were often rambling and repetitive and all of those things. Denis Hirson: I have to say, I’m talking about editing as if I were an editor, but the truth is I’m not, because I myself got edited by Betty Welz, who must be thanked for her work on this book. William Kentridge: Betty Welz is a terrifying editor. Denis Hirson: It’s nonetheless quite satisfying for a reader not to have to constantly see that this was an improvisation, and just get on with the reading, which is what a reader wants to do, I hope, when opening the book. WK: Sometimes I think, Right, these performances and talks are fine but now it’s time to get back to your real work. DH: What is real work? WK: I don’t know, that’s why I’m saying, on one hand that is also the real work. It’s as much work making these lectures or performances as making the drawings—much harder work, in many ways. DH: But is it the drawings that are the real work? WK: I’m not certain, I think part of me thinks the drawings should be the real work, but part of me thinks, No, I don’t want to get stuck in drawing Johannesburg landscapes for thirty years. So, if one is going to do that, plus something different, do I have the courage of my convictions in saying, Let’s cut things up and fragment them and try to reconstruct them? Which is what I talk about in the lectures. A lot of the basis of the lectures and the work has been trying to overcome an essential self doubt, a doubt in the work itself and having to have the work affirmed from outside of me. People say to me that in fact the traces left of the animation are part of the heart of what is there. That is something that I had done, and it had to be explained to me. I tried to evade, tried to get rid of all the traces of the animations in the drawings for the films. I failed at doing that, and thought of this as a failure, until it was pointed out, in fact it was part of the interest of the films. So I’m very suspicious of my own instructions to myself. William Kentridge: I think the ‘real work’ is the drawing or the work in the studio, in the sense that all the conversations—all the conversations in the book, the lectures, the performances—always come after the work, and they’re often a reconstruction of a possible origin of different projects, or the way work might have begun. But I’m much more suspicious of words than of the drawings. The way in which words—sometimes they can be rooted in the world, and that’s the hope, but I’m also aware of how they can float over the surface. As anybody who’s ever made a drawing or done any writing knows, as you lie awake at three in the morning, you can hear in your head both the worst review ever done, and you can also then try to construct the best, most generous review, and they feel equally coherent—like a rabbit and duck, you can jump between them. So that’s a kind of an insecurity with words. That’s why I was very, very happy that you were doing the editing, that you were going to make the judgment: This is of some interest, this is of no interest, this should be left out, this should be emphasised. Denis Hirson: I like that word, ‘suspicion’ and I like that word, ‘insecurity’. I too am more suspicious of myself performing, which I do a lot, reading and on the stage, et cetera—more suspicious of that than me as a writer. Denis Hirson: Firstly, I’m working on my second French book, which is also about the strangeness of finding myself in this country which I did not choose, speaking this language which I did not choose, and learning how to love it. That’s part of what I’m working on now—and I think I’ll stop, that’s enough. William Kentridge: We’ve got two minutes thirty-eight to go. Denis Hirson: I’m working on a book of poems in French, and I’m working on working on the idea of a book coming back to the English language, especially, and in accelerated form after arriving back in Johannesburg, which brings me back to the possibility of writing for people in this city, which seems so very far away from Paris when I’m sitting there. William Kentridge: I’m currently working on a project on Africa and Africans in the First World War. It’s a performance piece, on a very large, wide stage, so it’s processional in nature. But it has to do with my own ignorance, I guess, about that history. I thought, One thinks one knows about the First World War, and then one discovers in fact that what one’s general knowledge is is this high school or primary school teaching, Wilfred Owen’s poetry, ‘the Western Front’—and the fact that there were hundreds of thousands of Chinese brought in on to the trenches; that there were tens of thousands of people from the West Indies; and that there were over a million Africans involved in the First World War, many many tens of thousands in France, but the vast majority in Africa; and the vast majority of those not as combatants but as porters carrying the war on their shoulder, from South Africa, from Malawi, from the Congo to German East Africa, where the war happened. The fact that there were a million casualties in Africa—these are kind of ignorances, so it was both an education for myself but also a self-criticism, to not have any sense of that history. William Kentridge: First World War. Denis Hirson: That’s true, the First World War, but that too was under the carpet. No black soldiers in a war that I heard of, when I was in South Africa. William Kentridge: And it was both about ignorance, but it was also about things being hidden. The fact that there were no black soldiers invited to the victory parade in London in 1919; people said they were labourers so they couldn’t get military medals; there were histories hidden. Denis Hirson: That’s really for you, William. William Kentridge: A good drawing. A good drawing is when it’s—is when something takes off. I’ll give one example. In ‘The Head and the Load’, the project I’m working on, there are a lot of objects that people carry on their heads, and some are real objects but most are cardboard cutouts—silhouettes of what people are carrying. And there are objects that people carry in one procession to the war, and there are objects that people carry on their heads when they come back from the war. In general those that go towards the war are more coherent—the portraits, the objects are more coherent—and when they come back they are moth-eaten and bullet-ridden. So there’s a way in which you have to draw something carefully, when you’re going to see it properly; and that it can be much more cursorily drawn, when it’s going to get blown up and have pieces of paper stuck on it, and pieces cut out. And there was a drawing of a gourd—of a pottery bowl, a big African pottery bowl—which I did very carefully, working out the engineering of it, where it would need support of wood and how it would be cut out of cardboard. And then the second one, which was going to be destroyed once the drawing was done, was done in about a quarter of the speed. And of course that was the much more interesting drawing, so I swopped them around. The very quick drawing becomes the one that you’ll see properly and the very careful one is the one that’s going to be blown up. So I would call the second one, when there was a kind of a knowledge of what was to be drawn, and a looseness and speed and energy with which it could be done—that became the more interesting drawing, in spite of myself. It was the opposite of what I’d intended and tried to do—and I suppose that it’s when the drawing takes over, and is more in control than the artist, that it’s possibly a good drawing. Denis Hirson: I can’t tell you what a pleasure and relief it is for me, as someone who has great difficulty with the notion of producing anything like a satisfying drawing, to hear you talking about drawing, and the hit and miss, and the inaccurate, and all the doubts that go along with it—and here it’s just a tiny little extract from you. I did a series of works for ‘The Nose’ which were portraits—some of them were portraits of Lenin and Stalin. I tried to do them quite conscientiously, looking at a photograph and doing an ink wash drawing. I’m not good at rendering—I am not good at portraits, or even looking at something and doing a good drawing of it. Some people have astonishing facility, but even after forty years of doing this, I’m still quite hamfisted. What wonderful words, William. William Kentridge: True, I assure you. I once did a portrait of a person—I was asked to do a portrait, and I said, Well, I don’t do portraits, but I was persuaded to spend half an hour doing a portrait of this very elegant woman. We said, Well, if after half an hour it didn’t work she’d have wasted half an hour, I’d have wasted half an hour. And I did the drawing—and it just got worse and worse, I rubbed it and re-did it, it got worse and worse and worse, she ended up like this aged witch with all these dark charcoal marks. At a certain point, she said, Could I look at it? With great trepidation—I thought, OK, she’s going to hit me. But she didn’t. She apologised. She said, I didn’t sleep well last night [**] I said, You have to understand the amount of space you have to allow for just rank incompetence. But I suppose one waits for a good drawing to come. And there are some drawings which feel efficient—they’re needed for a sequence in a film or something—and others which set off other chains of association, beyond what had been anticipated. Denis Hirson: I’m still waiting. Denis Hirson: I saw this litho and drawing of yours called ‘World on its Hind Legs’—and the first thing I thought of was a dog on its hind legs. You were the person who had drawn this drawing—[to the audience, holding open the book at p. 236] I’m sure you all know it, here it is—and I thought, This man is colonising the world. He started off with Johannesburg landscapes and he’s gone outwards, through Stalinist Russia and to Mao’s China and to Vienna in the nineteen-twenties and on and on until there’s not going to be any territory in the world left that he hasn’t colonised with his drawings. William Kentridge: Ok, let me explain the drawing. Cézanne had this idea of reducing the physical world, as an artist, into basic forms: into the sphere, the cylinder and the cone. And so art from Cézanne onwards, for many decades, was about this kind of reductive form of taking the world and simplifying it on to the page. I, at a certain point—and this had to do with growing up in South Africa, where Formalism kept on bumping up against the world around us—said, Well, what if we take those forms of Cézanne and put them back out into the world and send them to work? So the cone which he described became very simple—became the megaphone, that’s in many, many works. And the sphere that he described becomes a sphere back in the world, in other words, it becomes a planet, it becomes the world itself. So in a way the image of the world on its hind legs is a way of putting that tradition of Modernism back into a different context. And there is something about—as soon as you put a pair of dividers next to anything, or a pair of scissors, you immediately have a set of walking legs. There’s a kind of irresistible anthropomorphism we have, in this case turning the sphere into a walking object. Denis Hirson: William, is the artist in any sense the coloniser? William Kentridge: He’s certainly a hyena, in the sense of taking whatever can be found and devouring it. In that sense there’s an amorality, certainly. 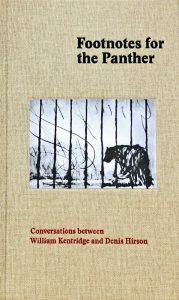 Denis Hirson: That’s really for you, but I have to say, when I was talking about my father earlier, what I have to undo constantly, in writing, is the rational, the systematic, the logical—all of those things that are going to land me back where I started in the first place, without any surprise at all. What I want is precisely what you are giving with your exploration of the absurd. What I wonder—as a question to you—is what the relationship is between exploring the absurd and constructing sentences from beginning to end in understandable, recognisable English. William Kentridge: The absurd in the broader sense is a category that I am drawn to. Not because it’s the foolish or the stupid—although that also—but because it corresponds in a strange, naturalistic way to the world. In the most obvious sense, there was an absurdity to the basic logic of apartheid that we grew up with. There was something wrong with the logic, and that false logic then gets carried through to the nth degree—with pencils in people’s hair, with the fifty-two different categorisations of what races were. So the absurd was built-in. We understood that the absurd was where we lived. William Kentridge: What other form, other than the absurd, is able to respond to that illogic? And sometimes to you have to demonstrate or perform illogicality to show the limits of rational thinking. So the kind of nonsense language of Kurt Schwitters’s ‘Ursonate’, or of the Dadaists, was trying to demonstrate the edges to which logic had come. The idea of the mine dancers, which are a fantastic fusion of dances from the countryside and changes involving urban materials—gumboots, steel rattles and things like that—seem to me completely politically compromised. It seemed those dances were turning people into animals in a game reserve, which white tourists would go and see on a Sunday at the mines. Which means that one was completely stopped from seeing. In fact, for many of the people living on the mines, there was an extreme importance in that activity. It may have been annoying, it may not have been annoying, maybe embarrassing, maybe not at all, that they were watched by tourists who came to see them, but that’s not the be all and end all of what those people were doing with their dancing. In that sense, I would include myself in the blindness, not just a blind spot, but putting deliberate blinkers on. William Kentridge: There’s a way in which I certainly feel damaged by those kind of restrictions of apartheid. There are a number of South African artists, like Alexis Preller—white artists—and even [Walter] Battiss—who took their inspiration from art they’d seen made by African people in the country. Masks from further north, San paintings, Bushmen paintings, things like that. But for me, in those years, when at school and everywhere else they were saying, No, you’ve either got to be a Zulu and you live in a Zulu hut, or you’re Xhosa and you live in a Xhosa hut, that white people have access to Beethoven and other art, but that black people don’t—it became a political act to say, In fact, black people are in the cities in suits, they’re not in straw skirts, they’re not living in mud huts, and that did make for a blindness to those huge number of people that did live in mud huts, were not in the city, and had a whole other world of histories with them. It’s a big unlearning to be done. Denis Hirson: One thing that struck me, which I mention in these conversations, when I got to Paris, was how many times, wandering around the streets in the seventies, I saw people engaged in filming—filming the city and filming each other, which had not happened in Johannesburg almost at all, at the time when I left here, before seventy-three. That also I associate with a certain blindness that we white people in Johannesburg had towards what was happening amongst ourselves. William Kentridge: So this was a question to you about—How do you start? You’re starting on a new book, you’ve got impulse towards a new English book in English—for you, what are the processes, are there notes, sketches? Denis Hirson: I don’t want to start by willpower, in any case. And to go back to the spelling mistake that I was mentioning earlier, I started writing in French because I made a spelling mistake. The spelling mistake was in the address of a police station: it was an email that I had to send to a police station because I had to give a proxy to the police for someone to go and declare a theft. I won’t go into the details. I made the mistake—I couldn’t send the email three of four times, I phoned the police station, I had a very nice policeman on the line, and he said to me, Sir, monsieur, if you can’t send the email, we’re going to come and fetch it. So I calculated geographically—I knew where he was—and he was going to come a quarter of the way around Paris to get this proxy from me. And as I put the phone down, I think but I cannot be sure—as one never can be—that I had a vision of a policeman at our door. And I think that vision took me all the way back to Johannesburg in the sixties, but I can’t be sure. But with that threat in mind, as I put down the phone—I realised what the mistake was. And I was so furious with myself for having made one more mistake in the French language, after living there—at that point was for thirty-seven years—that I wrote about it, in French, and in the middle of my fury at myself, I made myself laugh. This was the second time in my writing life that this had happened. The first time was when I started writing my first book, which was The House Next Door to Africa [David Philip, 1986; Carcanet, 1987]. In the middle of trying to get rid of all the anger, and all the obstruction that wouldn’t let me get to the meat, the heart, the ‘loot’ as JD Salinger says, I got to what I actually needed to say. And it wasn’t planned—but somehow that combination of anger and laughter was the chemistry I needed, in both those cases, my first book and my last one, to get going.